Damn, I miss this show! Who can name it? Tags: halloween, wine. Bookmark the permalink. The forever sparkling show: Will & Grace! Must be Will and Grace. Will anmd Grace. I just saw that episode last night. Karen, you and “Just Jack” were the best thing about this show! Loved that show. Every episode…hilarious! 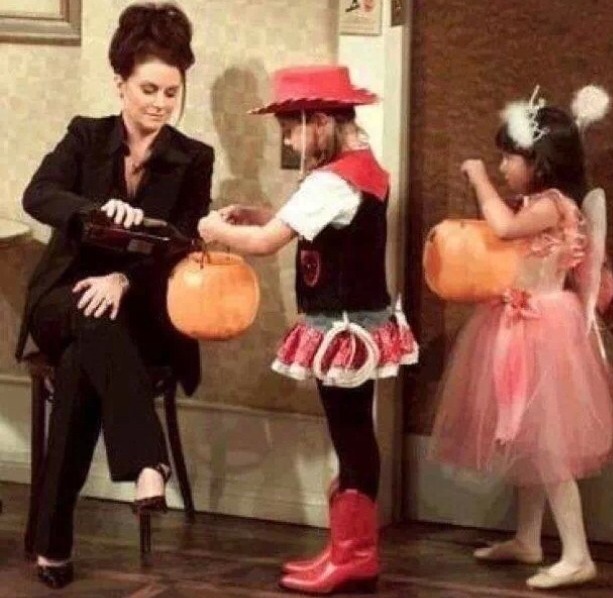 I loved that show…it’s Will & Grace. What a great cast and the writers did a great job. Why did they take it off?